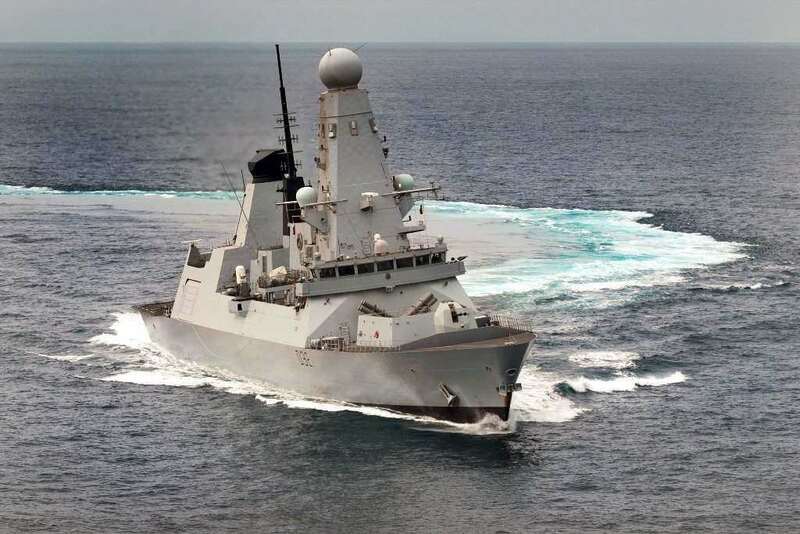 “We are delighted to have convinced our partners BAE Systems and the Royal Navy once again of the outstanding merits of our Series 4000 gensets and engines. I am convinced the Royal Navy will benefit from this long-term – also thanks to the simplified logistics when it comes to maintaining our engines,” commented Knut Müller, Head of MTU’s Marine & Government Business. The mentioned above delivery is part of the Power Improvement Project (PIP), the goal of which is to increase the resilience of the power and propulsion system in all six Type 45 destroyers. Under that project, the two existing diesel generator sets will be replaced by three MTU generator sets per vessel. The three MTU generator sets will complement two existing Rolls-Royce WR21 gas turbines also supplying power to the electric propulsion system. MTU Series 4000 engines are high-performance engines. They are in service with many navies all over the world as main propulsion and on-board power generation solution. Rolls-Royce Power Systems, headquartered in Friedrichshafen, Germany, is a division of Rolls-Royce plc. The company is a global leader in engines and propulsion systems and distributed power generation plants. Under the MTU brand, it develops and produces high-speed engines and propulsion systems for ships and heavy land, rail and defence vehicles, including drive systems for use in the oil and gas industry and in power generation. Under the MTU Onsite Energy brand, Rolls-Royce Power Systems builds diesel generator sets for emergency, base-load and peak-load power requirements, as well as co-generation plants for combined heat and power based on gas engines.